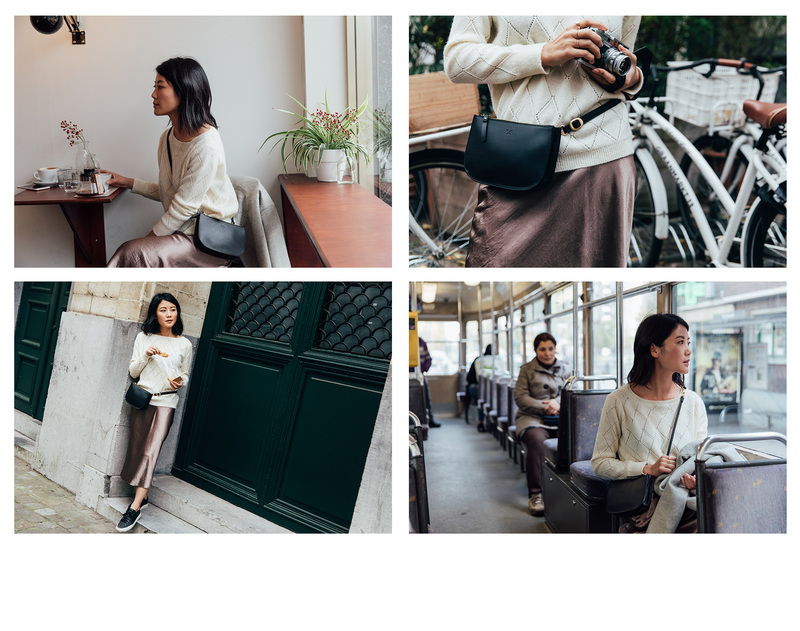 I recently had the chance to shoot the new Waverley bag from Lo & Sons in Antwerp (if you recall, I got to take their Pearl Crossbody to Paris over the summer). 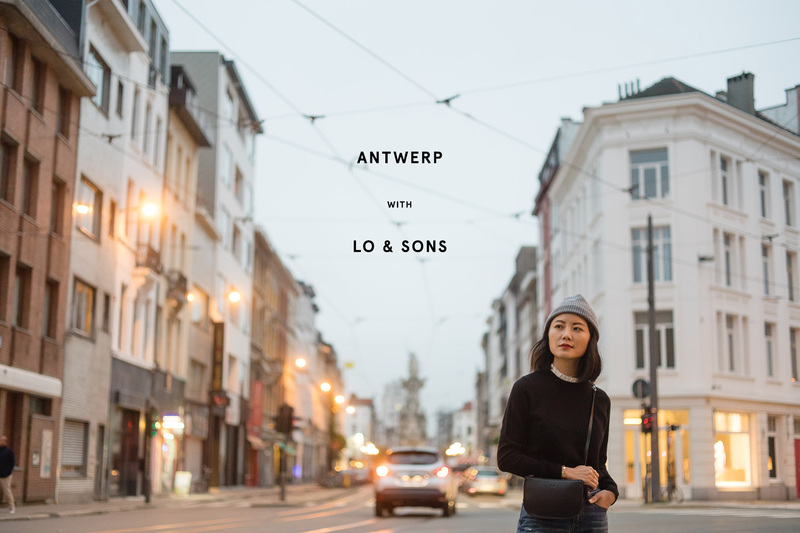 It was my first time to Antwerp and despite the cold grey days, I loved exploring this small city, its coffee shops, its surprising good Asian food scene, and its awesomely well-curated home goods stores (looking at you St. Vincents and Magazyn). October was so nuts for me I didn't have much time to plan interesting outfits, so I really went with safe neutrals here. 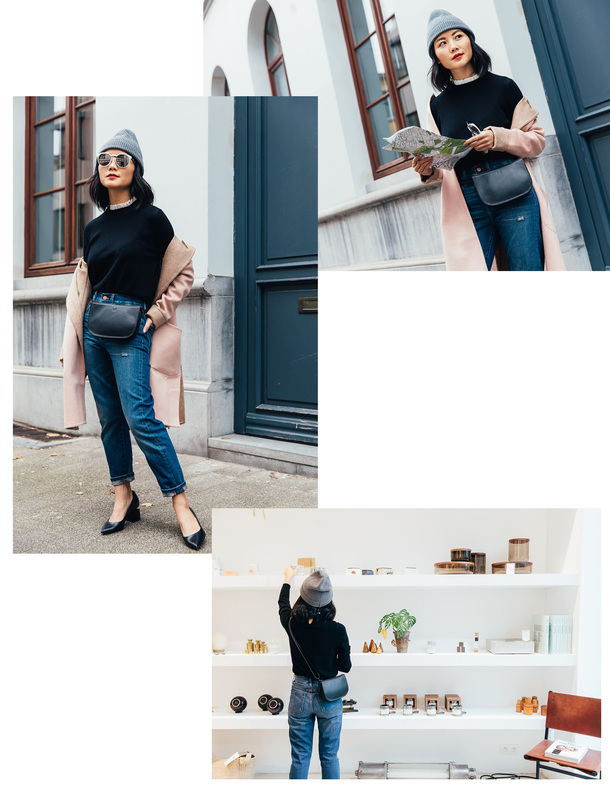 Below are six outfits I relied on during this trip and my quick jaunt to Paris afterwards. You can never go wrong with the classics - all your outfits are beautiful. Love the beanies, and that first photo on the street is so BEAUTIFUL. And what lovely neutrals they are! 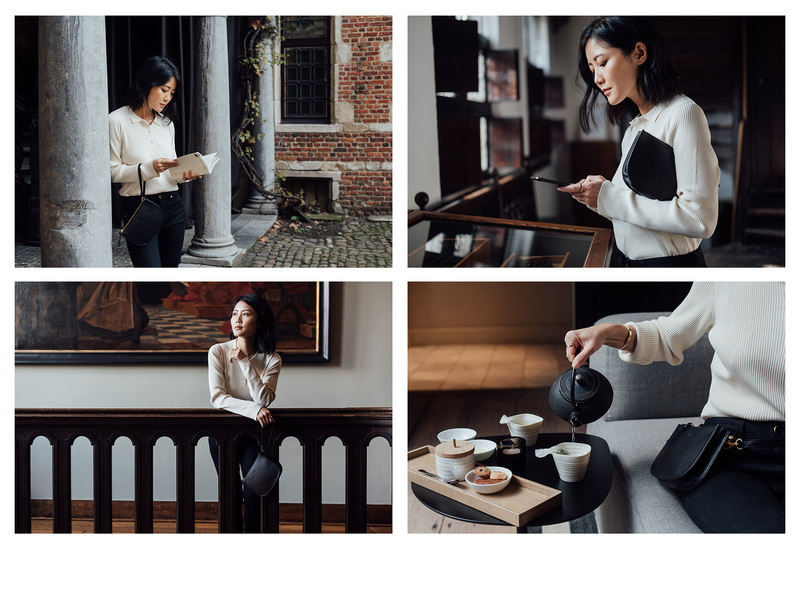 You look incredibly chic, and these photos are so dreamy. I definitely think these outfits are interesting. 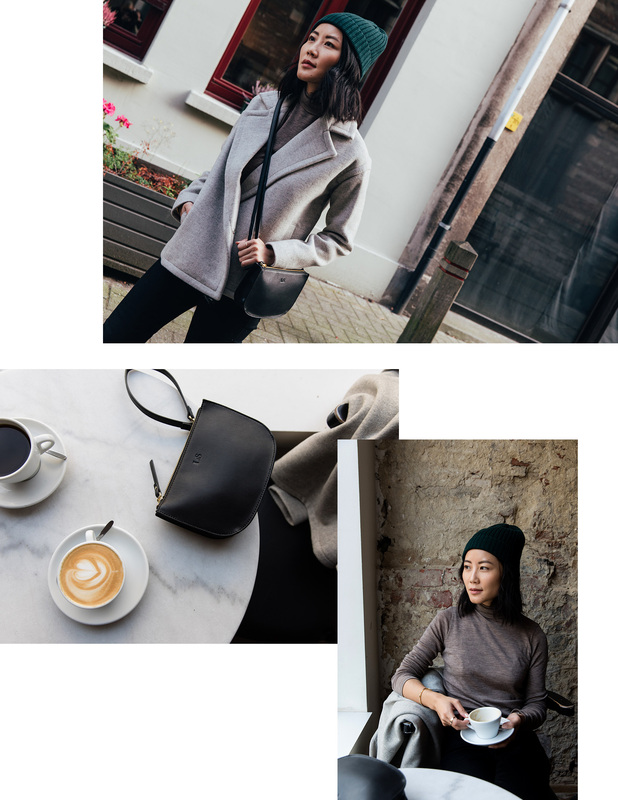 What a gorgeous bag - totally in love with all your neutral looks! I love every one of these outfits! I don’t think you need to plan interesting outfits; these are classy and speak for themselves. I can't decide which outfit I like the most - you have such great taste! 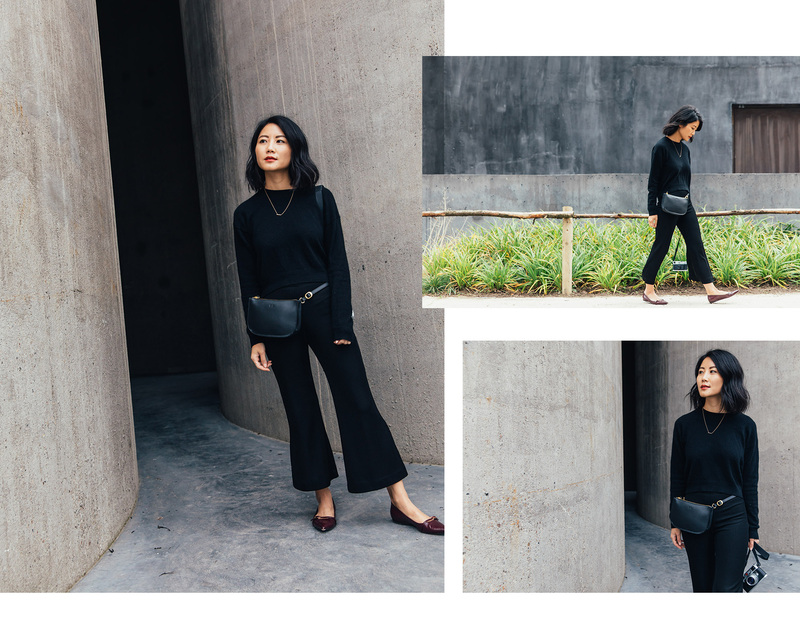 Do you style the shoots and outfits yourself? I don't believe there's anything cuter in the Known Universe than you in a Beanie! I know the Universe pretty well, too. I was in Antwerp for a concert a few years ago. I felt like they were one of the best cities in Europe for Fashion. Your photo shoot is very captivating. Hey! I didn't size up but maybe wish that I had. The waist is quite small in my usual size, while the rest of the leg is more relaxed. I'd definitely be more comfortable in a size up but it'd probably look baggier too. The A. Wang is such a signature! Love it! And I love your cashmere coat as well! Yea, Nov and Dec are very busy months..good that you manage to shoot us lookbook! Thank you! It's an XS. I'm 5'2 so it's still rather long on me hah. Thanks Alice!! I'm 5'2 as well so yeah, I hear ya.